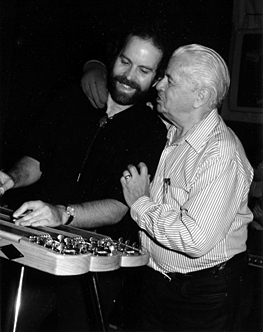 With the late, great Speedy West during my set at Scotty's 1994 convention in St. Louis. You can download an arrangement of Red River Valley created with the Hexachord Harmonizer. My tuning and equipment recommendations for beginning steel guitar players. This page will be posted in the 'For Beginners' section.